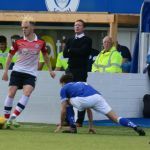 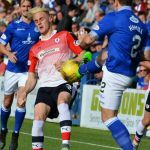 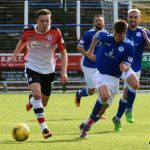 Raith Rovers sequence of consecutive defeats stretched to three, after a comprehensive 3-1 loss at the hands of new league leaders Queen of the South at Palmerston Park. 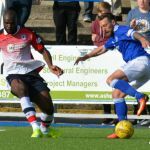 There were changes to both the personnel and system from Gary Locke, with Jean-Yves M’voto restored to the heart of the defence, allowing Iain Davidson to return to a central position. 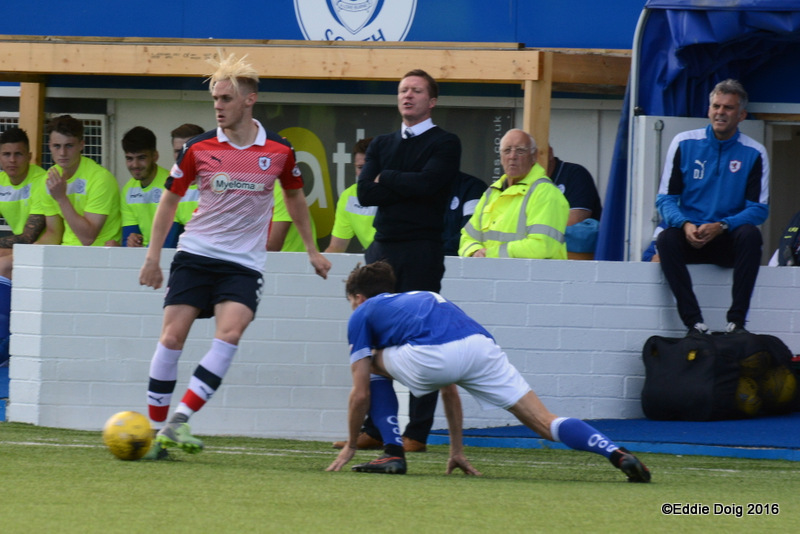 Jason Thomson was absent from the squad, meaning Ross Matthews returned to the right-back role, while Scott Roberts started on the right of midfield, as Raith went with Declan McManus up-front on his own, with five strung across the middle. 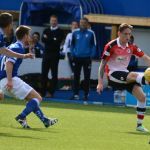 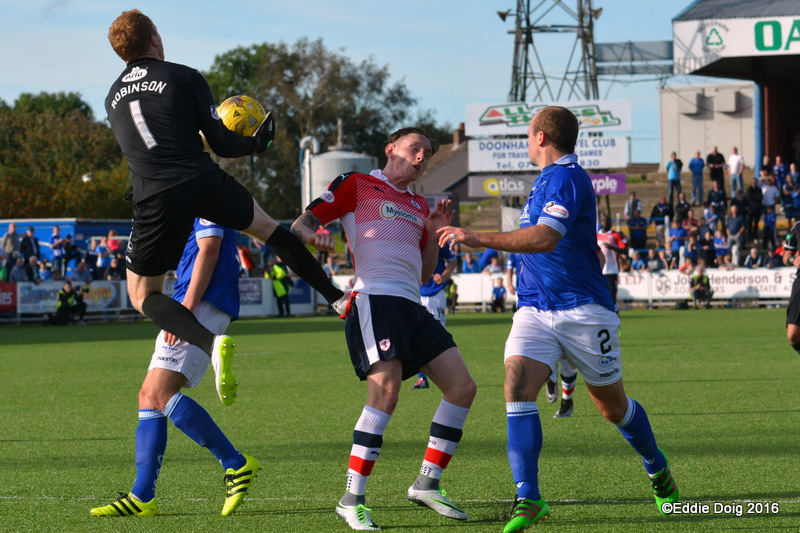 Gavin Skelton’s Queens side featured two ex-Raith players in their starting XI, with Lee Robinson between the sticks, and Grant Anderson occupying the wide right position. 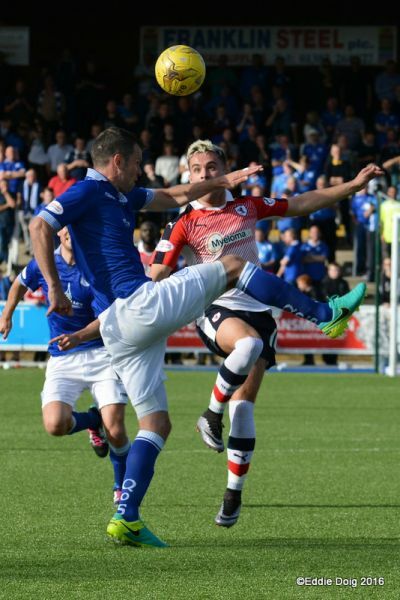 Stephen Dobbie has been the focal point of Queens bright start to the campaign, and he got his first sight of goal after five minutes, picking up possession on the right-hand-side, before cutting in, and in the absence of any discernible challenge, sent a shot from just outside the area past the post. 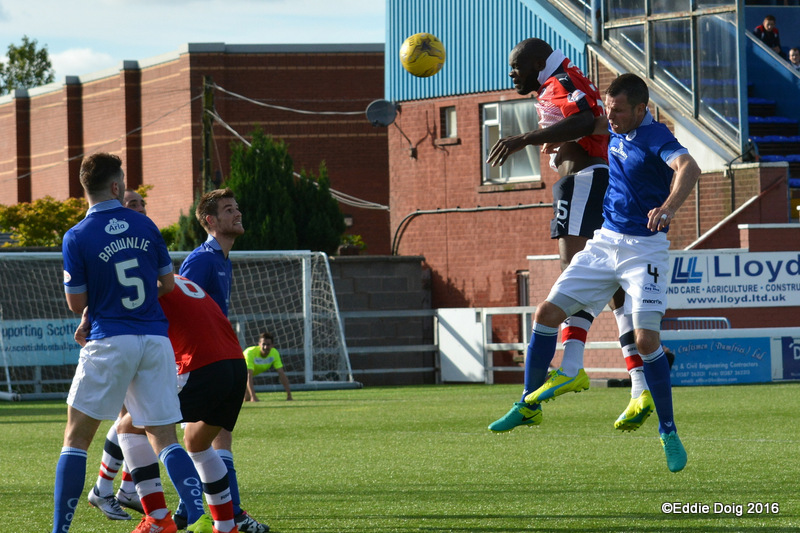 Raith’s first chance came a few moments later. 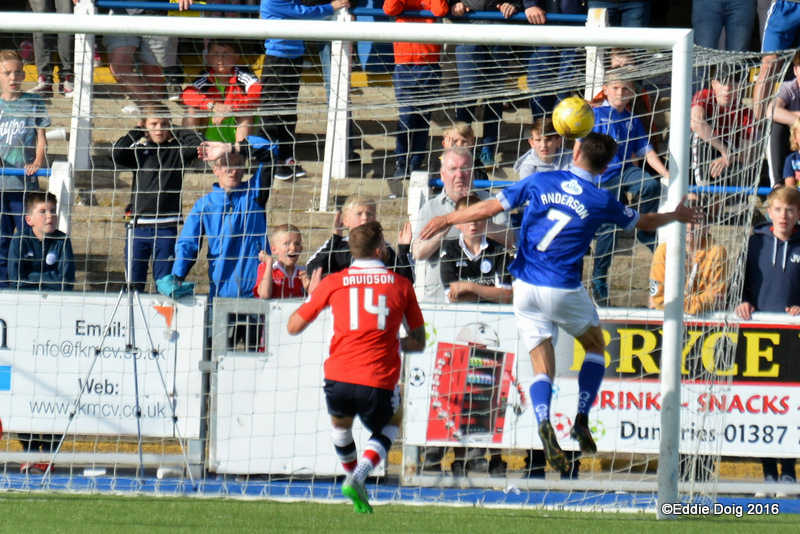 Anderson’s wayward distribution let in Kevin McHattie on the left, and although the full-back picked out Ross Callachan on the edge of the area, his first time shot was closer to the ornate clock on the roof of the stand, than his far lower intended target. 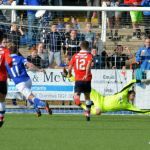 Despite it being a contest between the sides placed second and third in the table, the opening stages were noticeably lacking in goalmouth action. 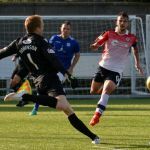 Rovers had played some decent stuff in the middle of the park, while Dobbie had provided Queens with a few classy vignettes, but despite both teams promptings, neither goalkeeper had much to do in the game’s barren opening quarter. 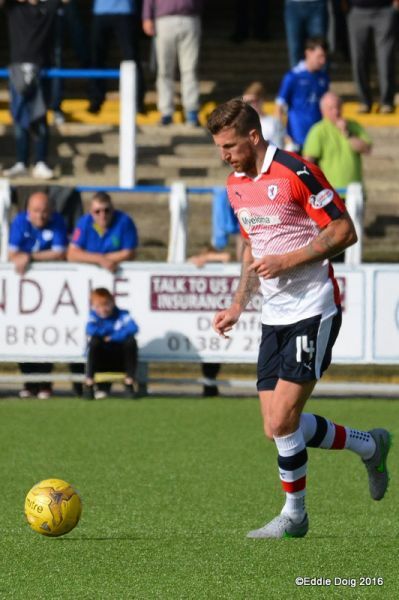 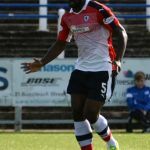 It was the half-hour mark before either side registered an attempt on target, and it was Raith who achieved it. 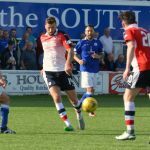 Rovers fashioned together a neat move which saw the ball swept out wide to a marauding Matthews, and his fine cross into the area was met by the head of McManus, but it was straight at Robinson. 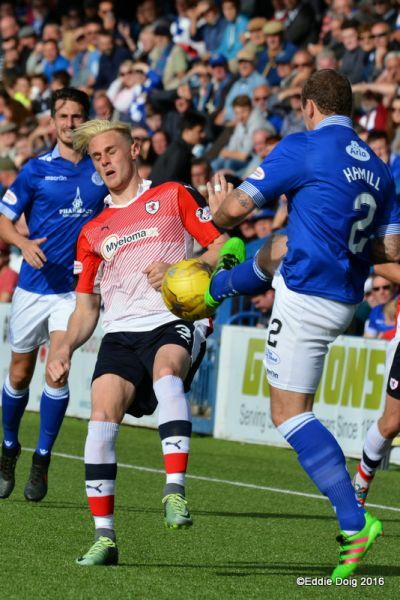 The Doonhamers almost had an opening in the 38th minute, when indecision in the Rovers defence saw M’Voto only just get away with a headed pass-back which Dobbie got his toe on, but it just made it into the clutching mitts of Connor Brennan. 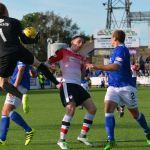 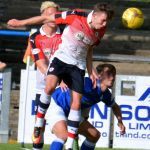 Despite the low-key feeling to the match, it did produce two bookings as the half reached its conclusion, with Callachan and Barr making their way into referee Gavin Duncan’s notebook. 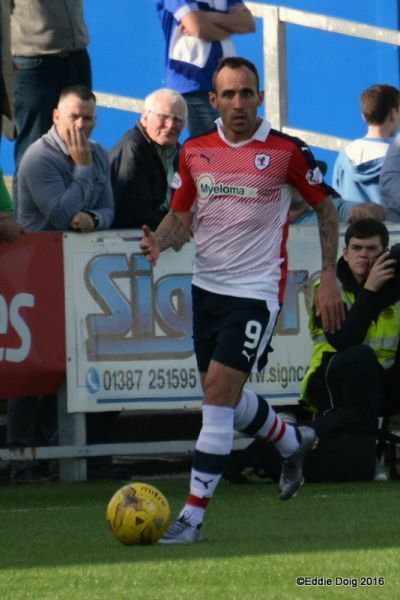 If Raith’s formation had been in response to Queens fine start to the campaign, then it was working to a point, with Dobbie and Derek Lyle being presented with little or no service, but by the same token, Raith’s lone forward was also feeding off scraps. 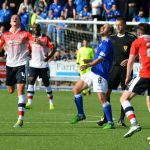 As the man in black signalled that the first period was over, the hope for all concerned was that the second would have more to enjoy. 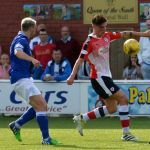 The home team were out first for the second-half, and they certainly started with far more oomph about them, with a long ball forward almost bamboozling Rovers in the first few minutes of the half. 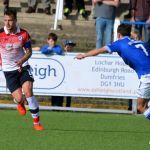 Dale Hilson appeared to be forlornly chasing a punt forward, especially as Brennan was coming out to meet it, but after seemingly claiming it comfortably, the ball squirmed away from him, requiring him to twist and gather at the second attempt. 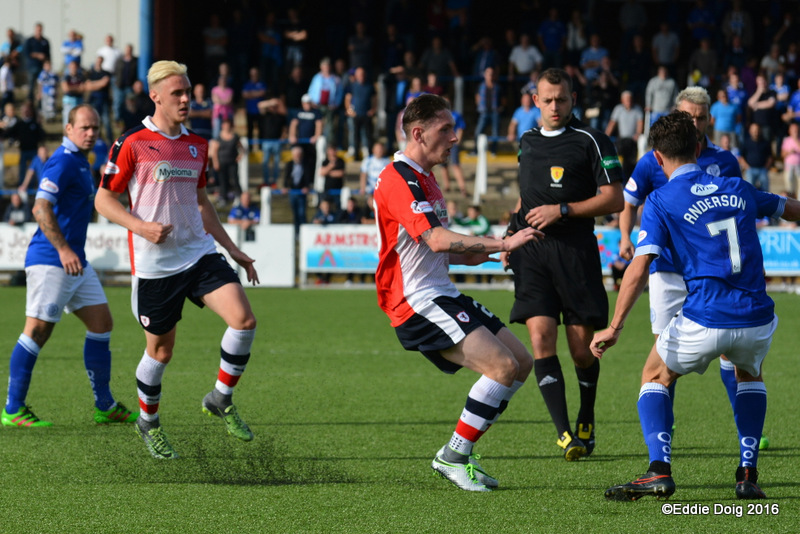 However, Rovers did go a goal behind in the 50th minute, after an excellently crafted counter from the Dumfries side. 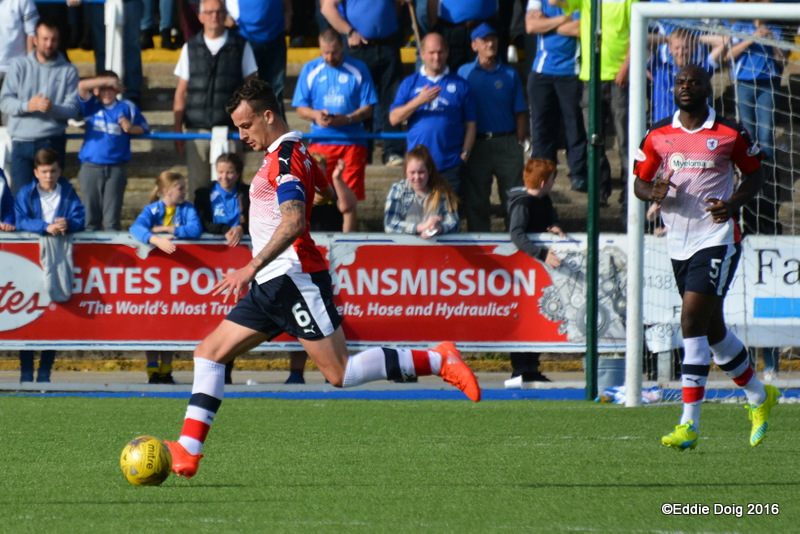 Play broke down on the edge of the Doonhamers penalty box, and with Rovers short on numbers at the back, they instantly looked susceptible to a scampering breakaway. 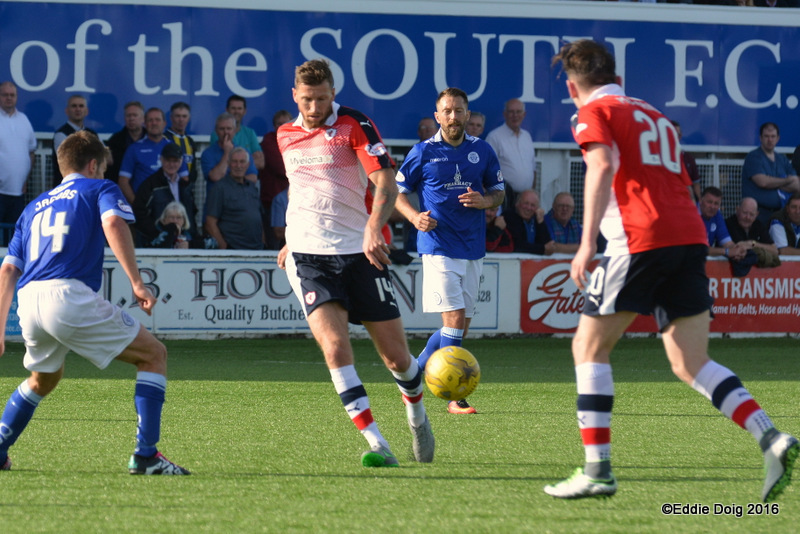 Derek Lyle received the ball in the middle of the park, and he switched it instantly to the right to Hamill. 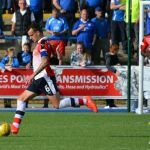 The right-back immediately played it inside to the advancing Dobbie, and the former Swansea, Blackpool and Crystal Palace striker coolly passed it into the bottom left corner of Brennan’s net. 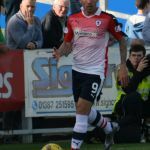 Rovers were now needing to up their game, but the goal had given the home side an added impetus, with Dobbie dipping into his box of tricks on the right-touchline, before eventually being crowded out as he shaped to shoot. 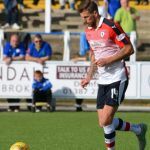 With half-an-hour remaining, Locke made his first changes, swapping and Jordan Thompson and Roberts for Vaughan and Stewart, as they reverted to a more attacking line-up, with a deficit now needing overhauled. 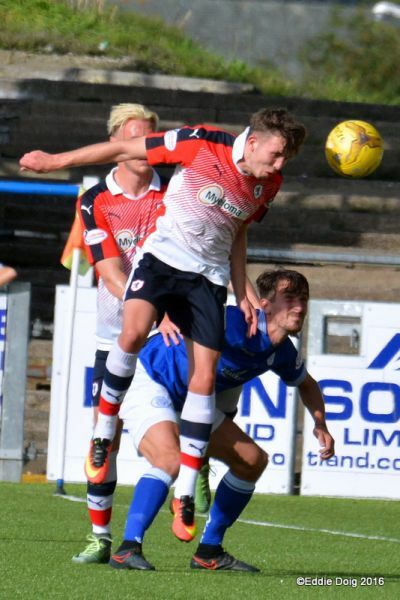 However, play continued to head towards Raith’s goal, and another cross from Hamill was almost Raith’s undoing, as his deep delivery to the back-post found Lyle, but his looping heeder cannoned back off the stanchion and eventually out to safety for a Queens throw-in. 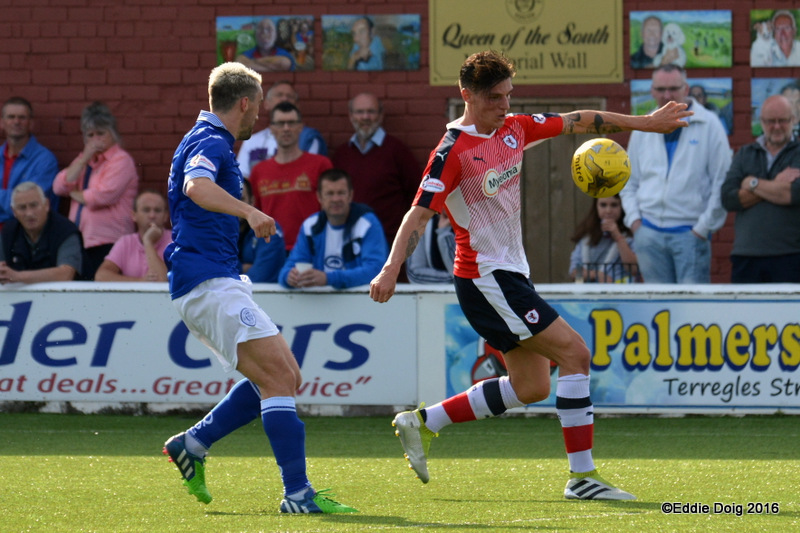 The respite was just temporary though, as from the throw, the home side doubled their advantage. 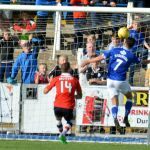 Although the players had done a fine job of shackling the Queens talisman for most of the first-half, Dobbie had enjoyed far more joy in the second, and as the ball dropped to him in far too much space 20-plus yards from goal, you didn’t need a sixth sense to guess what was about to unfold, as his excellent half-volley flew past Brennan to put the home team firmly in control. 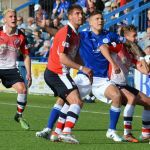 Locke immediately rolled the dice one last time, swapping Matthews for Rudi Skacel, as Rovers continued to chase the game with 20-minutes remaining. 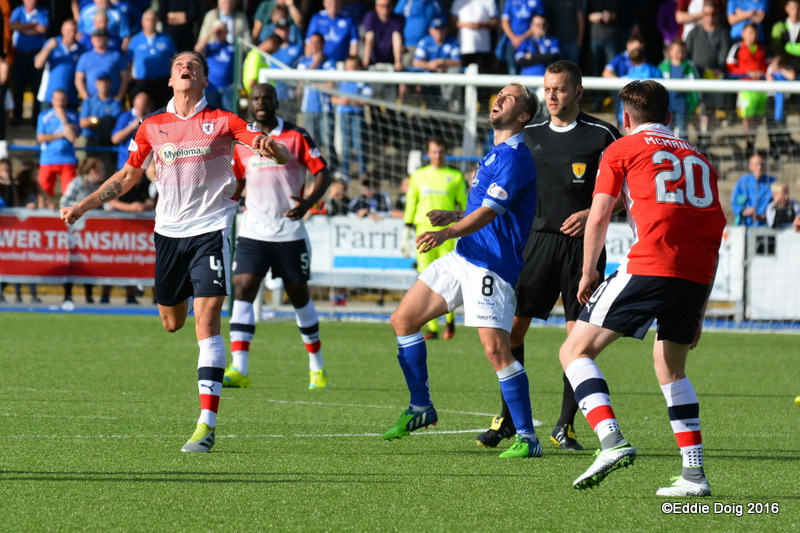 Ten minutes later though, Queens put the game to bed. 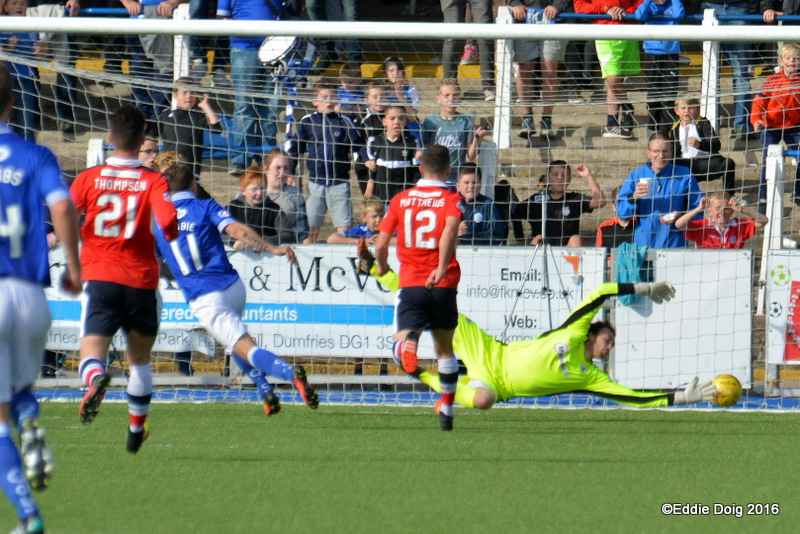 A cross from the right was again the damage-causer, this time from Lyndon Dykes, and while Hilson’s volley forced a fine save Brennan, the rebound fell to substitute, Dean Brotherston. 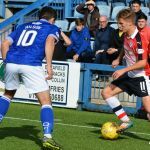 His first touch was something of a hash, more falling over the ball than striking it, but he remained composed enough to poke it home at the second attempt, with Brennan both grounded, and stranded. 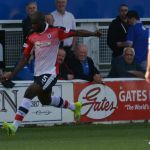 Rovers did get a late consolation, when Vaughan’s corner from the right was met with some gusto by M’Voto, and while his neck-muscles helped thundered the ball towards goal, it was aided into the net via the thigh of a Queens player, and it trundled over the line. 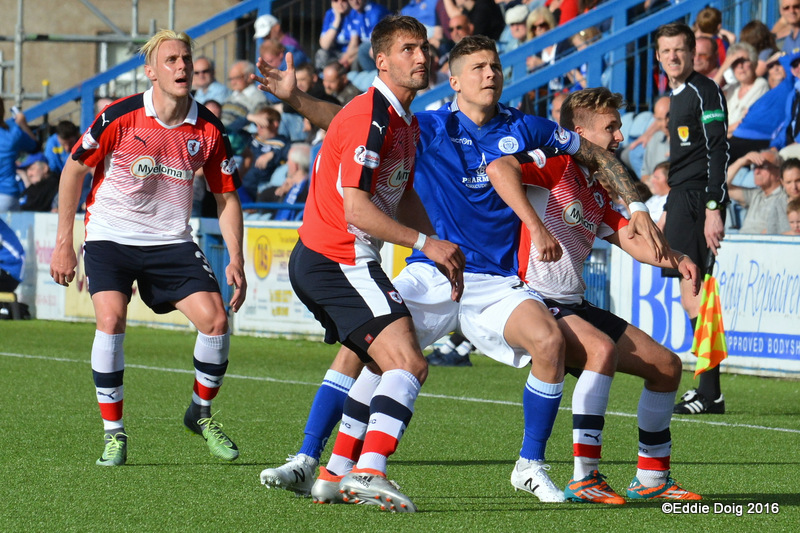 It was never going to lead to a grandstand finish though, indeed, Skelton’s charges almost added a fourth in injury-time, when a clever through pass from Dykes was seized on by that man Dobbie, who hared through on goal, only to see his neat finish rebound off the inside off the post and away. 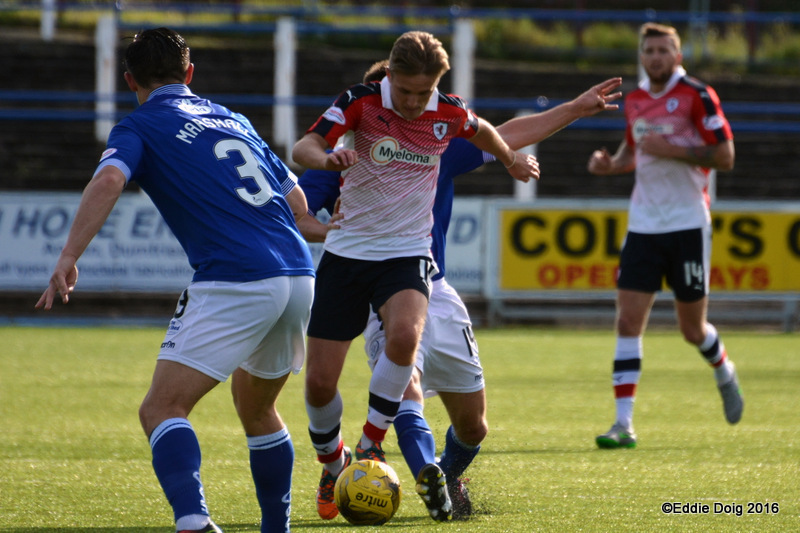 Rovers will now hope to get back to winning ways next Saturday, when Dumbarton are the visitors to Stark’s Park. 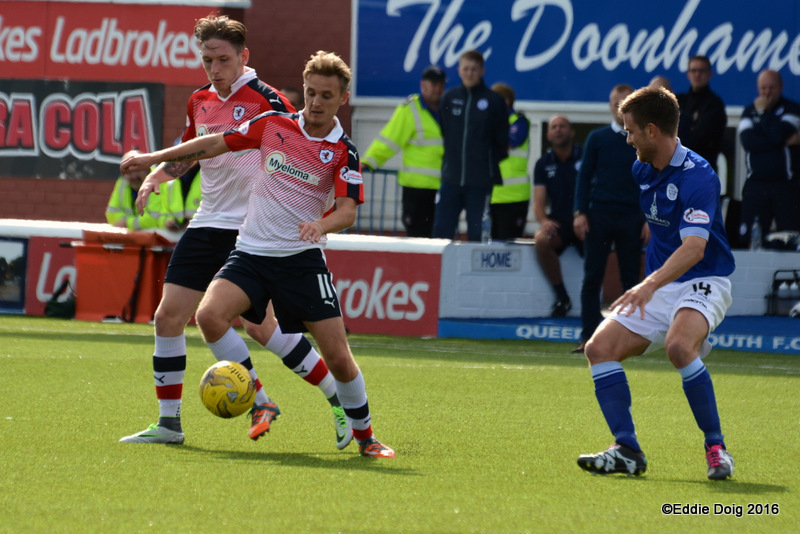 Dobbie cuts inside but shoots wide. 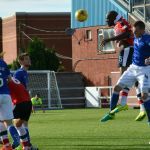 Marshall wins the header from a Queens corner but Matthews clears the danger. 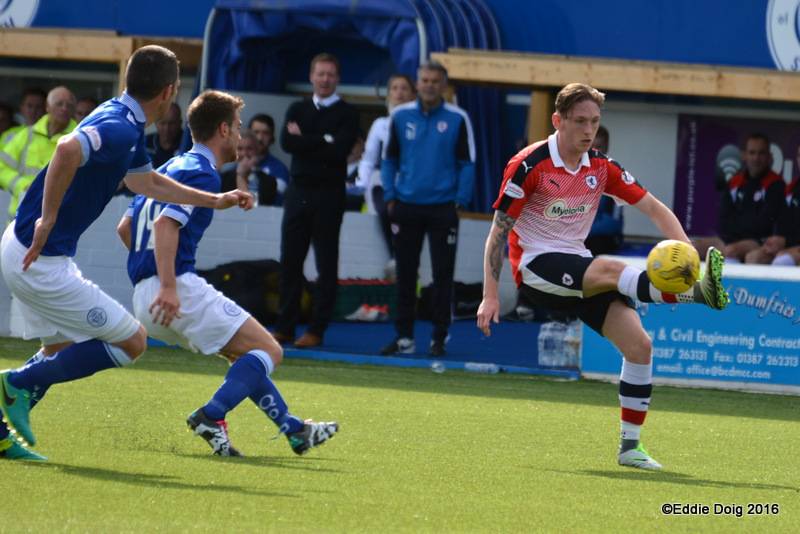 Rovers freee kick from 20 yards after Barr is fouled. 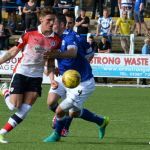 Matthews crosses from the right and McManus heads straight at Robinson. 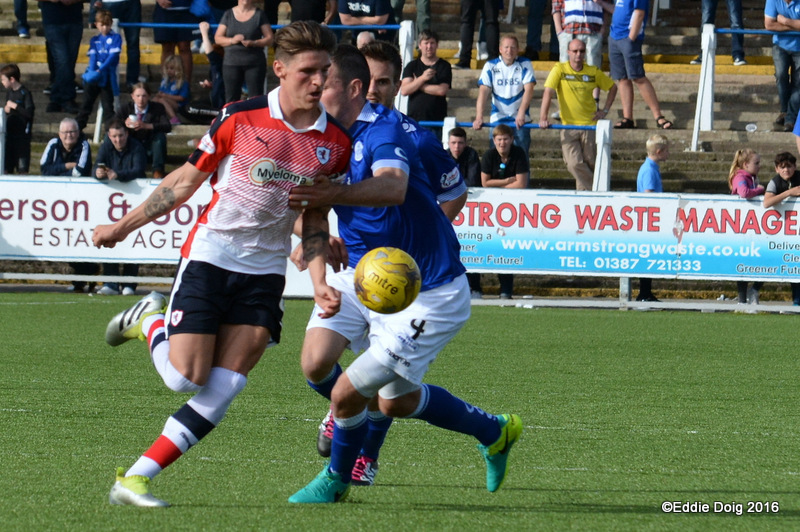 Dobbie with a wonder goal from distance. 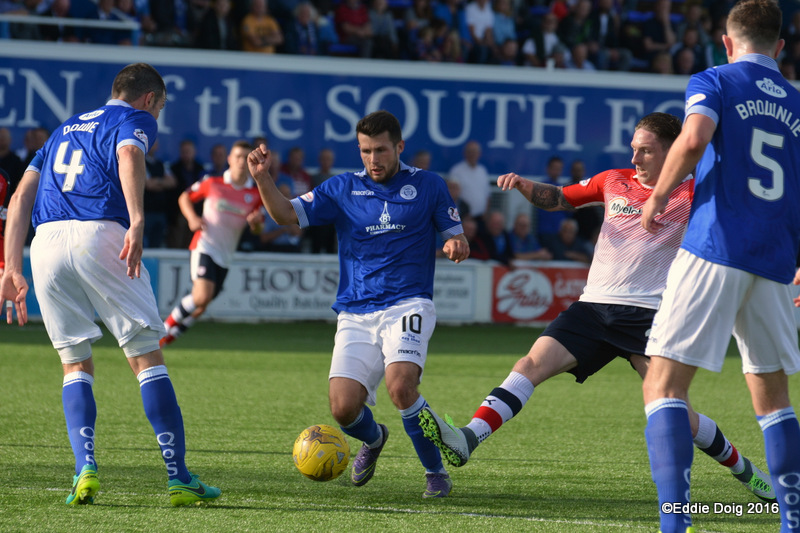 QUEEN OF THE SOUTH: Robinson, Hamill, Marshall, Dowie, Brownlie, Anderson, Millar, Lyle, Hilson, Dobbie, Jacobs. 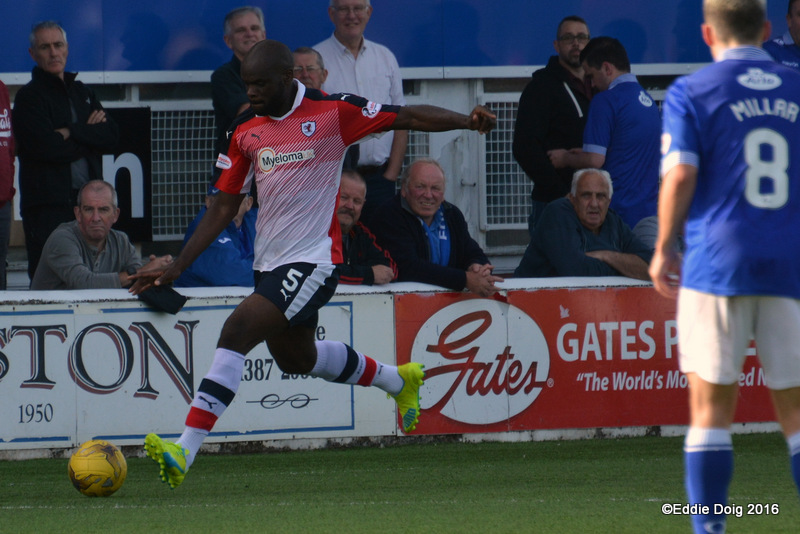 Subs: Atkinson, Higgins, Rigg, Pickard, Moxon, Dykes, Brotherston. 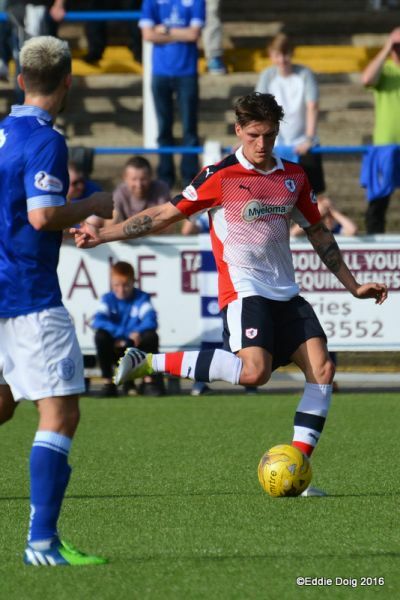 RAITH ROVERS: Brennan, McHattie, Callachan, M'Voto, Benedictus, Barr, Matthews, Davidson, Roberts, McManus, Thompson. 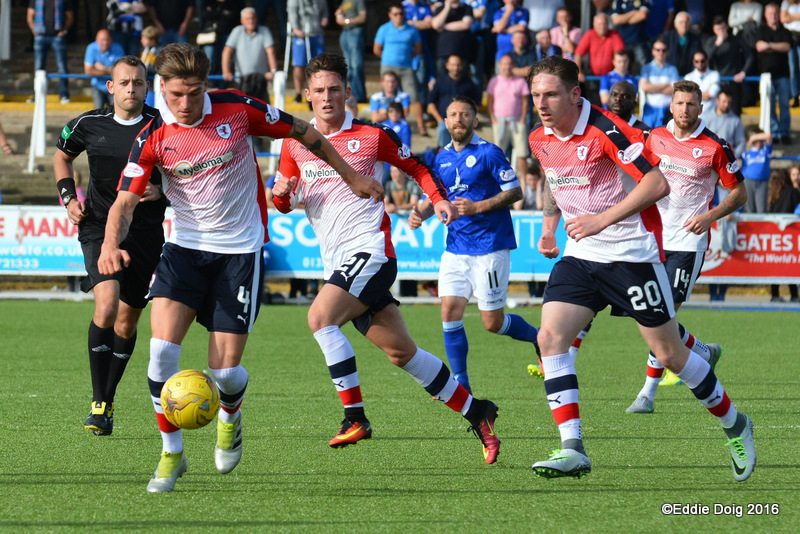 Subs: Cuthbert, Johnston, Stewart, Vaughan, Coustrain, Skacel. 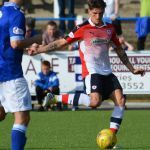 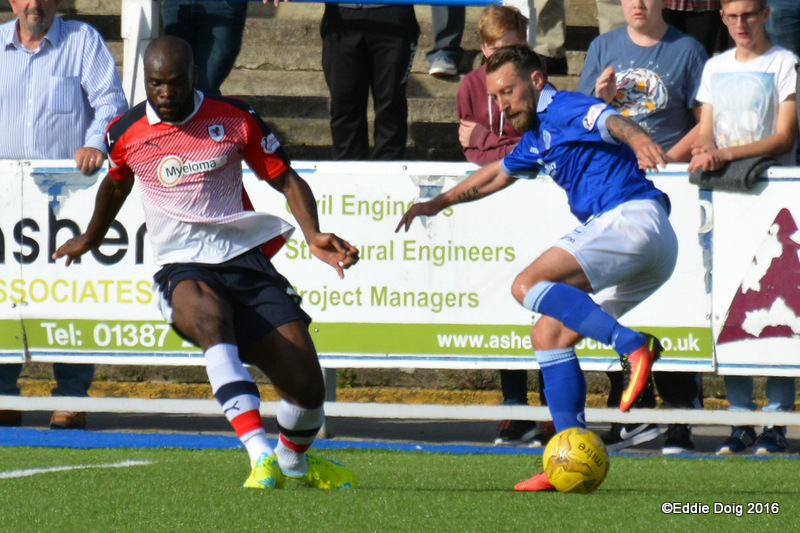 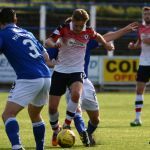 It’s second versus third at Palmertson Park this Saturday, as Raith Rovers head to Dumfries to take on Gavin Skelton’s Queen of the South side. 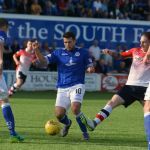 They’ll find it tough going though, against the Championship’s form team, with Queens taking seven wins and a draw from their last eight outings. 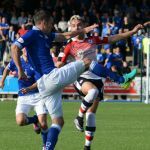 While most observers felt that new manager Skelton had built a side which may challenge for the playoffs, his late acquisition of the former Swansea and Crystal Palace forward, Stephen Dobbie, put a lick of sheen on the squad, as the striker returned to the club he’d previously represented between 2007 and 2009. 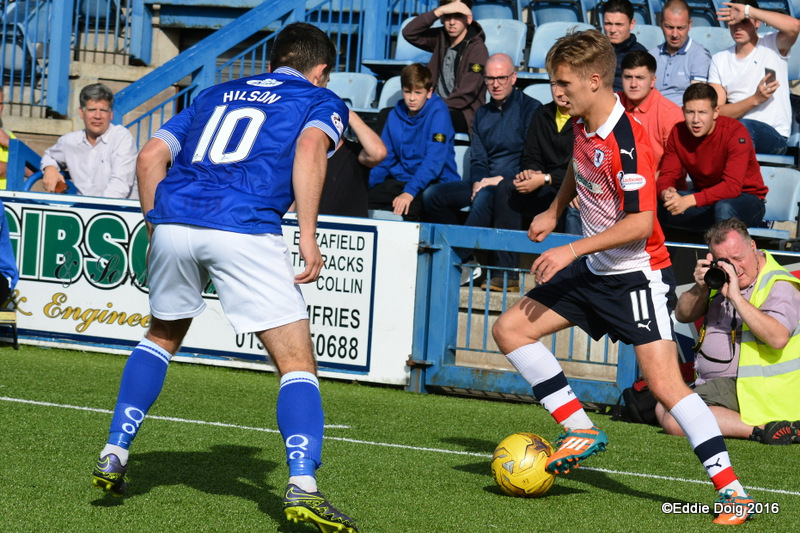 He and Derek Lyle have already formed a formidable partnership, with 15 goals between them this term. 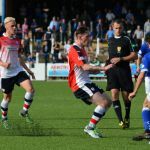 It’s not just up front where Skelton has strengthened however, with new additions, some of whom are familiar faces to the Rovers fans, throughout the squad. 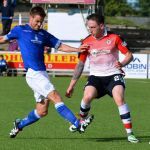 Ramsdens Cup winners, Lee Robinson and Grant Anderson were both snapped up over the summer, and they’ve been joined at the club by a mixture of youth and experience. 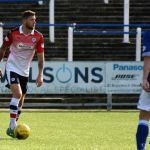 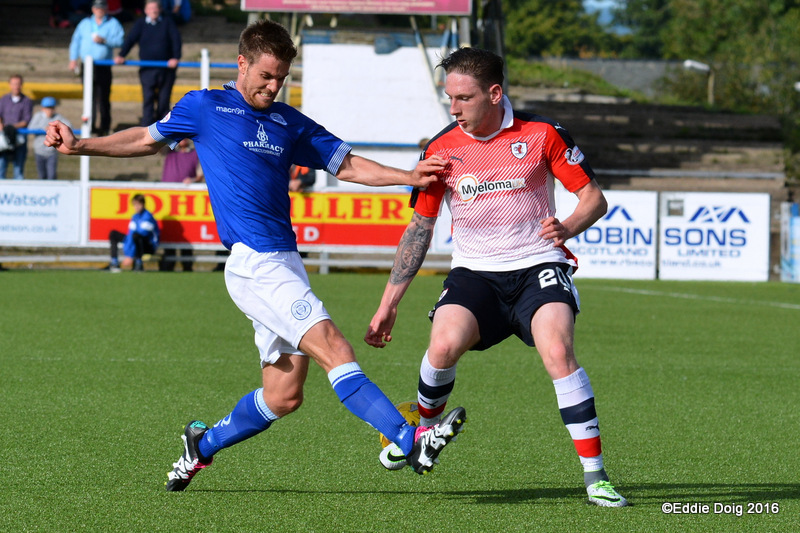 Right-back, Jamie Hamill was signed after leaving Rugby Park, while forwards Steven Rigg and Lyndon Dykes were added from Carlisle United and SP Apollo respectively. 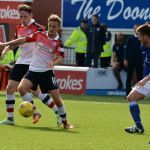 The Doonhamers have made an almost unblemished start to the season, with victories over Falkirk, Ayr United, Dunfermline and St. Mirren, with their only dropped points coming in a 1-1- draw at Tannadice. 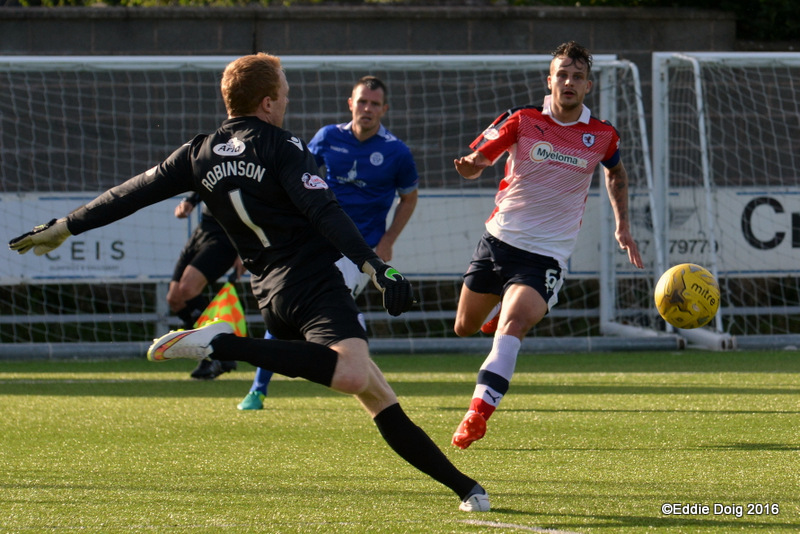 They’re also into the quarter-finals of the League Cup, after an impressive 3-1 win over Hibernian in the last round. 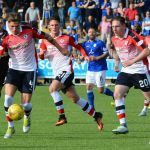 However, Rovers will be hoping to emulate their record from last season in this fixture, which saw them take 10 points from 12 across the four meetings. 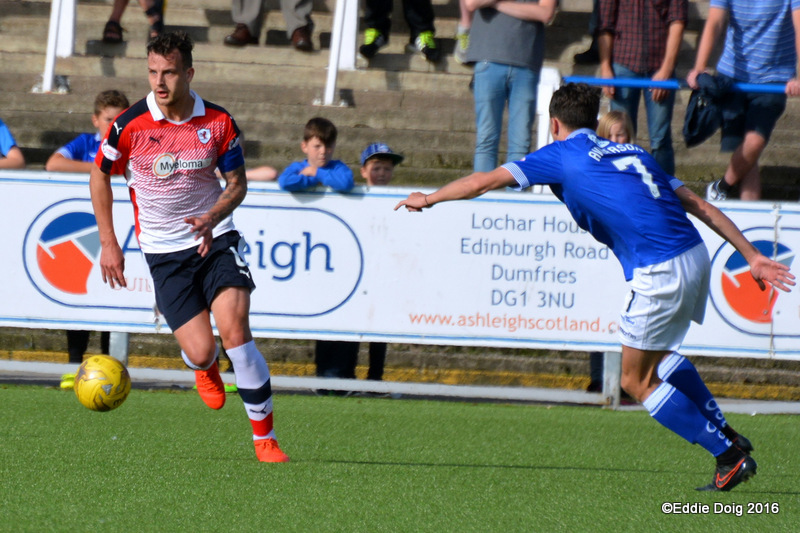 A Kyle Benedictus header secured all three points in September 2015, while a Robbie Thompson own-goal secured a point in a 1-1 draw in December. 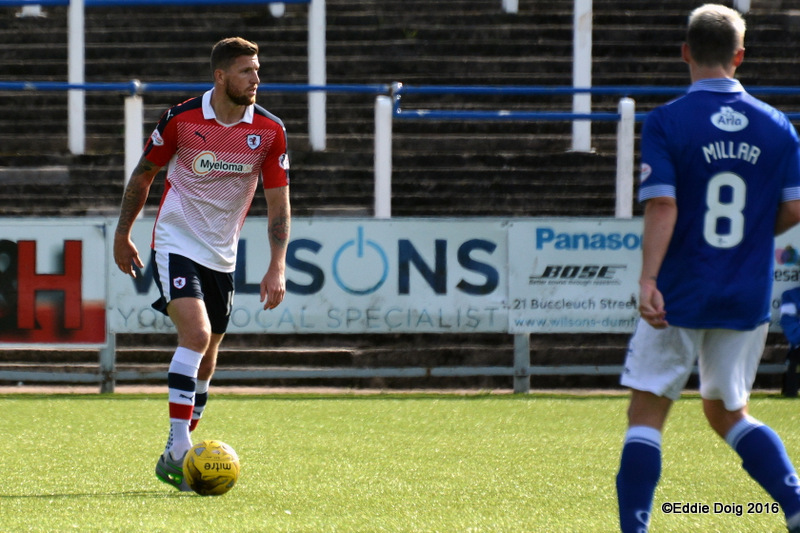 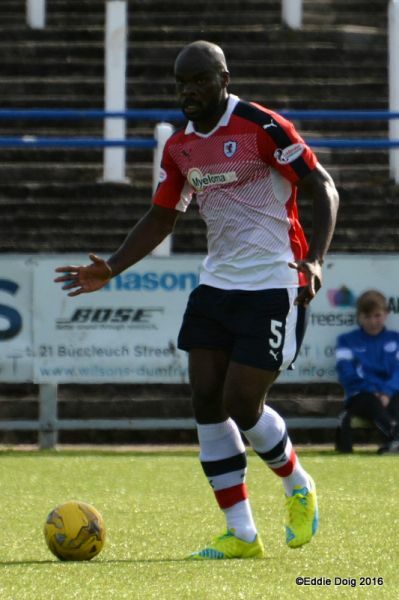 Mark Stewart and James Craigen were on target in a comfortable 2-0 win in March, while the final meeting saw Raith win 2-1, thanks to goals from Benedictus and Craig Barr. 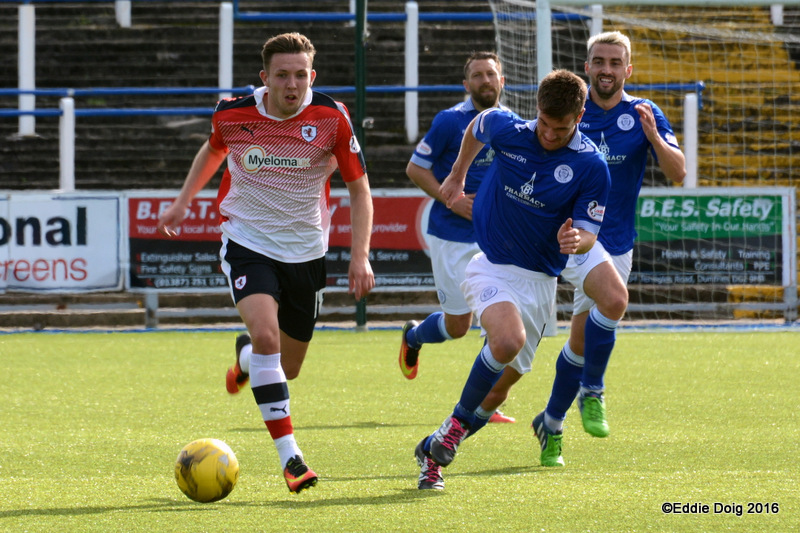 Despite Rovers recent success in this fixture, the head-to-head record is reasonably even, with five wins for Raith in the last ten meetings, compared to Queens four.